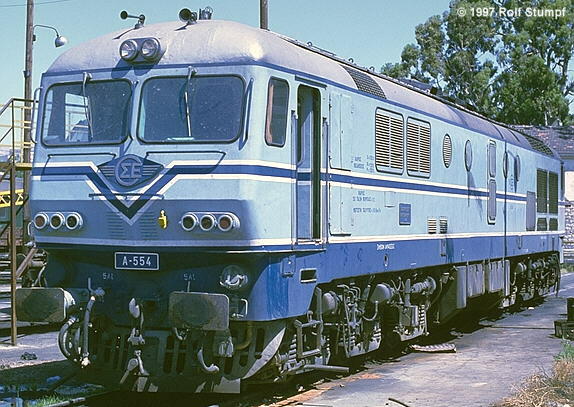 A-554 at Aghios Ioannis depot, June 24th, 1997. However, since March 1st, 1998, the Craiovas weren't scheduled anymore for passenger duties (at least that was the plan...). 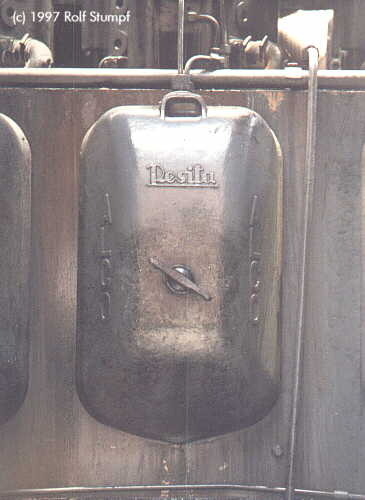 Only occasional they appeared with the Larissa stoppers or as relief for failed units, like A-459 on the 504 ex Athens on April 13th 1998. 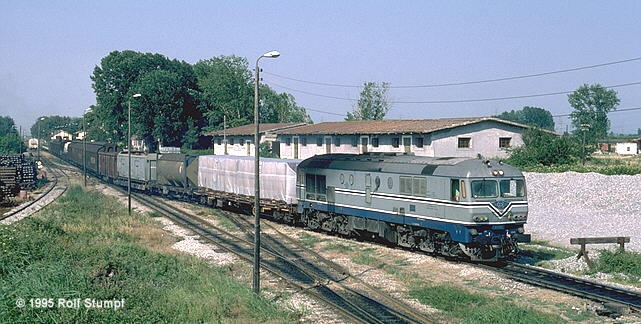 A-556 substituted as far as Larissa, where it was swapped for A-457 (that day's "Larissa Thunderbird"). 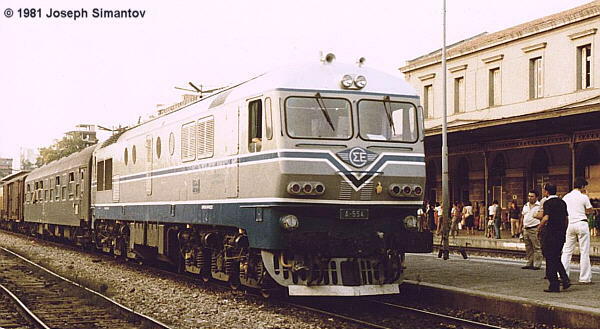 During late April and May only A-554 and 555 were working, the others were stored at Athens. In July 1998 these last two units joined their mates - to never move again on OSE rails!? 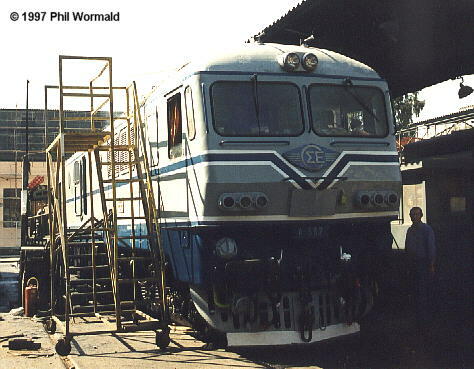 A-557 received a new engine in summer 1997. Here it is seen under load test (deafening!!!) in the Pireas Lefkas works. October 6th, 1997.